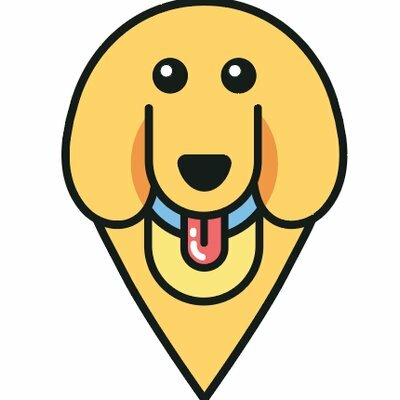 Behind the Scenes at Fur-Ever Loved Pet Salon – furevery – A powerful new app furevery dog parent, furevery dog and furevery dog business. We connect hands with paws. Last week we went behind the scenes at Fur-Ever Loved Pet Salon. They are located in Kitchener on Victoria Street N, and offer a wide selection of grooming and spa packages for your pet! Spring is finally here and we thought it would be the perfect time to ask questions many pet parents have before getting their furry companions groomed. It is officially time for some spring cleaning! 1.How often should you bring your pet for grooming services? You should bring your pet for grooming approximately every 6-8 weeks, to promote healthy skin and coat. This time frame also depends on the breed and size of the dog as well. 2. What would you do in a situation where a pet was stressed during a service? 3.How should you prepare your pet for a visit? We encourage you to allow your dogs to relieve themselves before entering the salon. When checking in, please inform your pet stylist medical conditions, allergies, behavioural problems or pre existing conditions. This helps make the grooming process a better experience for your pet. 4. Should the pet parent stay during the appointment? Having the pet parent stay during grooming can be distracting to your pet and result in a longer and more stressful groom. This is our time to build a relationship and bond with your pet during the service. 5.What products do you use during the grooming appointment? We use the WAHL line of pet grooming products.They are environmentally friendly, cruelty free and PH balanced. 6. I just got a new puppy, when can we start coming to Fur-Ever Loved? We’d love to meet you as soon as possible, as long as your pet has had their second round of vaccinations. Ask your vet for a copy of the vaccination records for you to bring along. 7.What proof of vaccinations does my dog need? We require proof of vaccination for rabies. Which in most cases is required every 3 years by Ontario veterinarians. 8.How often do you recommend we come in for nail clipping? We recommend once a month for nail clipping, so often times we’ll do a clip-only appointment. 9.How do you trim the dog’s nails? We offer clipping but we also offer nail grinding, which helps us cut the nail shorter and it’s smoother. 10.Do you offer Creative Styling? Yes we do, we love getting creative with your pets. Whether it’s for a special occasion or holiday we offer all natural hair dyes and nail polishes. 11.My pet got skunked, what do i do? Don’t try to wash your dog as that will spread the skunk oils into their skin. Keep them dry and call us immediately! We hope that we’ve answered some of your questions and that you feel prepared to take your pet to the groomers! If you are heading to Fur-Ever Pet Salon, note that the Victoria Street North bridge across the expressway is closed for prepares. Be sure to leave a couple extra minutes for travel time as traffic will be detoured to the Wellington Street North overpass and to the Frederick Street overpass.